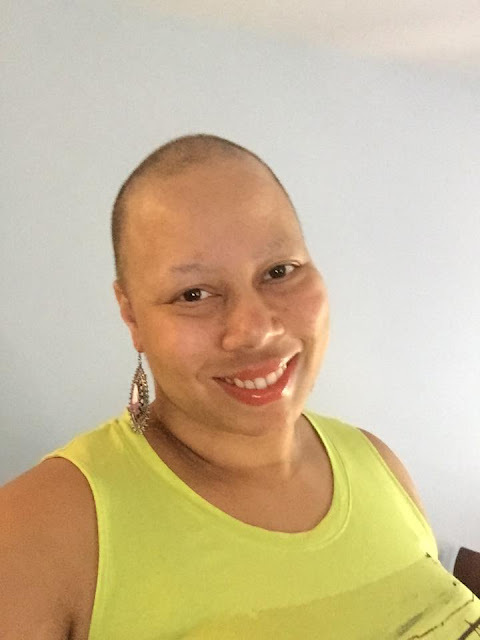 Jasmine's Journey with Breast Cancer: How it Unexpectedly Changed Her Life. I am a 31 year old mother of 5 and I found out 6 months ago that I have cancer. Breast cancer. And after they ran all the test, CAT scans, etc., we find out that its stage 4 breast cancer that has metastasized into my liver. As you can imagine, this news was traumatizing, scary, shocking, horrifying, and all the words you could think of if you were to get horrible news. Although I’m getting all of this bad news I know, deep in my heart of hearts, I will be ok. I actually found a lump in my breast while I was pregnant, about a month before I had my son. When I mentioned it to the OBGYN I was seeing that day (because I was going to a clinic so I never saw the same Dr.) he felt it and said that it might just be some milk developing. As a woman I knew better, but also as a woman, I listened to him instead of facing my problem head on like we tend to do sometimes. While breastfeeding, I knew that my son was not getting enough milk from my right breast, it was also beyond painful, and that breast was super swollen. At the time, I just charged that to the often challenging game of breastfeeding. Then one day I was opening a jar and as it opened, my hand hit my breast. That right there was one of the most painful things I have ever felt in my life! After feeling such intense pain I went to the doctor. That was 7 months after I first found that lump. I was upset at myself for not following my gut feeling when I was pregnant, but I was also relieved that we caught it when we did. Ever since then I’ve been going for chemotherapy. I’m not going to get into the different medicines I take and the doses and how often I go, but I go. I go and I sit there for hours while the medicine is being pumped into my veins through an IV. It’s not fun. Luckily my symptoms aren’t as bad as they make it seem on TV. Don’t get me wrong, the nausea, the body pains, and all of those things do come, but there are pills to help with that. My hair started falling out about 2 weeks after my first chemo session. My typically full afro was now shedding and started to look crazier and crazier, so I eventually just cut it off. Come to find out, I was still cute with no hair! I wear wigs all the time now, but when my hair starts to grow back a little I will probably keep a short cut for a while. My eyebrows started coming out a couple of months later. That was a bit devastating to me but I basically got over it because I know when all of this is over, my hair will eventually grow back. Fatigue is a big issue for me though. I get tired very easily but I also do get spurts of having a lot of energy. When I first started with the chemo I was still working, and doing treatment on my days off. I’d wear a mask over my nose and mouth at work to try to reduce my chances of catching a cold or other infection, since the chemo affects my immune system. I kept reducing my work until I eventually decided I needed to take a leave of absence. Besides constantly getting sick at work, my job was causing me stress and sucking out all of my energy. By the time I would get home, my body and mind would just be done for the day. I would shut down. It was causing a problem for me to come home and take care of my family the way they need to be taken care of, so I decided to spend the little energy I did get on taking care of my house, my family, and myself. While I could no longer physically endure a day at work, I had to figure out a way to support my family and pay my bills with no paycheck. Thankfully with the support of family and friends, I’ve been staying afloat. This whole process for me so far has been an emotional rollercoaster. They say that positivity is key. I’ve always considered myself to be an overall positive person but I find it impossible to be the same way anymore. I often find myself sad, angry, confused, doubtful, overwhelmed, and more. And that could be all in one day. But, I’m happy a lot of the times as well. Like I said in the beginning, I have 5 children. They keep me happy. Since I’m out of work, I’ve been trying to do much more with the kids. Be there for them more, follow up on their studies more, hug and kiss on them more. It makes them happy and it makes me happy, and to be honest, I can’t help but think sometimes, what if I don’t make it out of this? What if they don’t get to see me healthy again? I am holding on to my faith and being as positive as I possibly can. I’m sure that I will come out of this victorious, but when all is said and done, you just never know. I’m thankful for my support system. Even though most of my people are in New York and I am in North Carolina, they still do their best to visit, call, and keep me encouraged as much as possible. And the ones that are here do their best as well. I am also thankful for the friends that have my back and keep me laughing, and the old friends that reach out and show support. I honestly think about going home to New York all of the time, but I also have to think about what’s best for my children at this time. I wish I knew when this will be over and when I can say that I’m cancer free but until then, I will be surviving. How has Breast Cancer impacted your life? Tell us your story in the comment section below!